The Coreflex Compound offers the smoothest riding experience possible. Get the ultimate flex and response from this spring loaded bamboo longboard. Carbon X Construction. Urethane Bumpers. Freeride Ready. The Wolf Prowler is Back. Our favorite single kick in the arsenal. 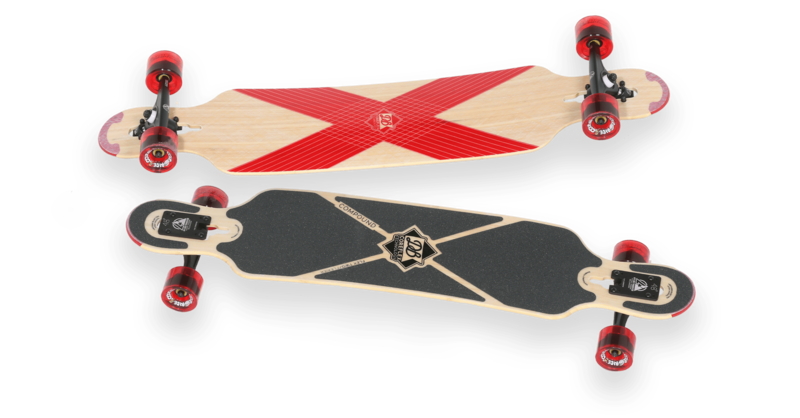 DB Longboards was founded out of the sheer love of longboarding. In the summer of 2003, Richard Docter, Tim Mackey, and Bryce Hermansen started building boards by hand in a Tacoma, WA garage. Bryce's grandmothers barn was the next stop for the factory and helped the trio refine their craft. Today the guys build DB boards in a state of the art Factory just a few miles from that original garage. Although the factory has changed the mission remains the same; create amazing products, do it sustainably, and treat customers and employees like family. Get more out of your turns with the CoreFlex Crossbow. We want you to get the best longboard and have the best experience possible. If you aren't satisfied with your order, we'll make it right. We offer free returns for all items in new condition returned within 90 days of purchase. You're our number one priority. Don't hestitate to contact us.